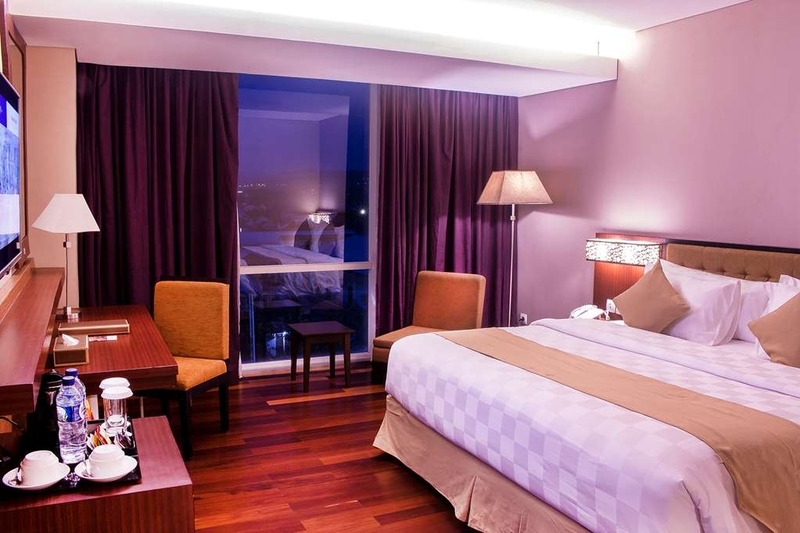 Das Best Western Plus Coco Palu ist ideal in Palu Stadtzentrum zu finden. Erleben Sie ein schöner Aufenthalt in der Nähe von alle Sehenswurdigkeiten. Bestpreisgarantie und exklusive Angebote. 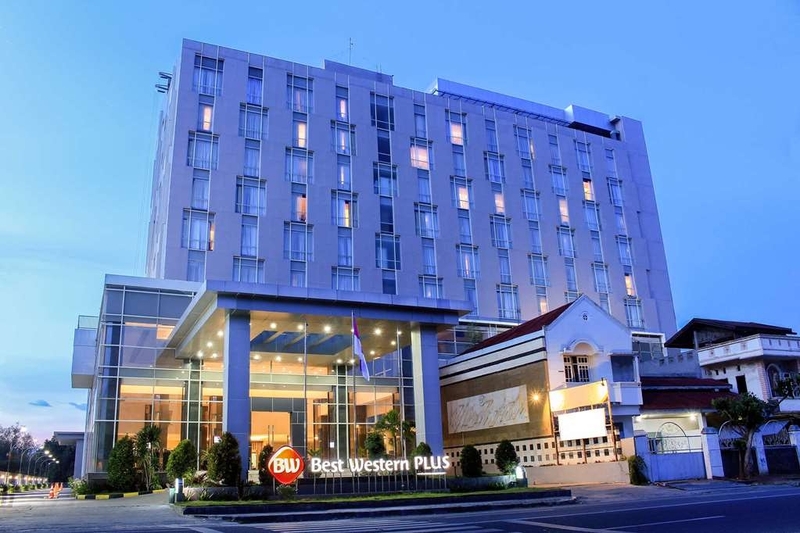 Das komfortable, günstige Best Western Plus® Coco Palu mit guter Verkehrsanbindung ist ein hervorragender neuer Ausgangspunkt für internationale Reisende, die sich in dieser aufstrebenden Stadt aufhalten. Das Hotel liegt im Stadtzentrum, in der Nähe von Behörden und nur 10 Minuten vom Flughafen entfernt. Damit ist es ideal für Geschäftsreisende. Die Berge Gawalise und Nokilalaki bilden eine malerische Kulisse, die Gästen sicher gefallen wird. Gästezimmer und Suiten sind im zeitgenössischen Stil eingerichtet. Sie verfügen über elegante Holzfußböden, große Fenster, Flachbildfernseher und kostenloses drahtloses Internet (Wi-Fi). Planen Sie perfekte Veranstaltungen in unseren modernen Konferenzräumen. 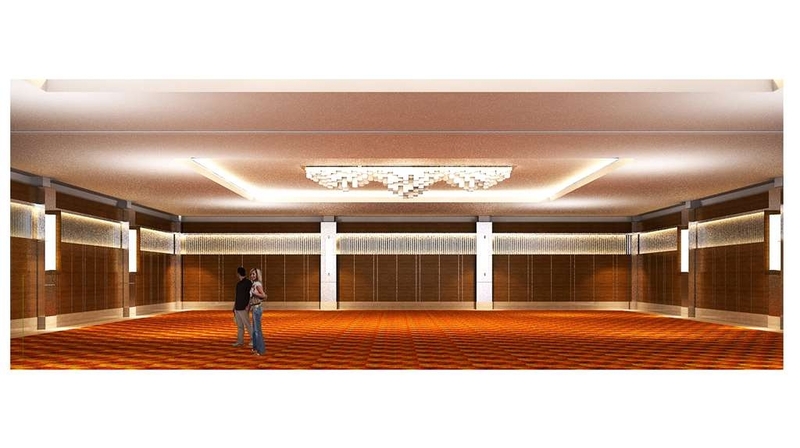 Dazu gehört ein großer Ballsaal für Konferenzen und Galadinners. Im Asiate Restaurant werden regionale Köstlichkeiten und internationale Gerichte serviert. Darüber hinaus gibt es eine Lounge, einen Swimmingpool (im Freien) und ein Fitnessstudio. Für die steigende Anzahl einheimischer und internationaler Besucher von Palu bietet Best Western® eine außergewöhnliche Auswahl an Einrichtungen und Dienstleistungen. Hinweis: Aufgrund des Erdbebens und Tsunamis, die Palu in Indonesien am Samstag, den 29. September 2018 getroffen haben, ist das Best Western Plus Coco Palu geschlossen. "Great place to stay and very budget friendly." Quite nice room, near airport, average breakfast menu, i think in overall this hotel has facilities we need during my stay. I think this hotel quite new, seen from the hotel paint and others furniture. 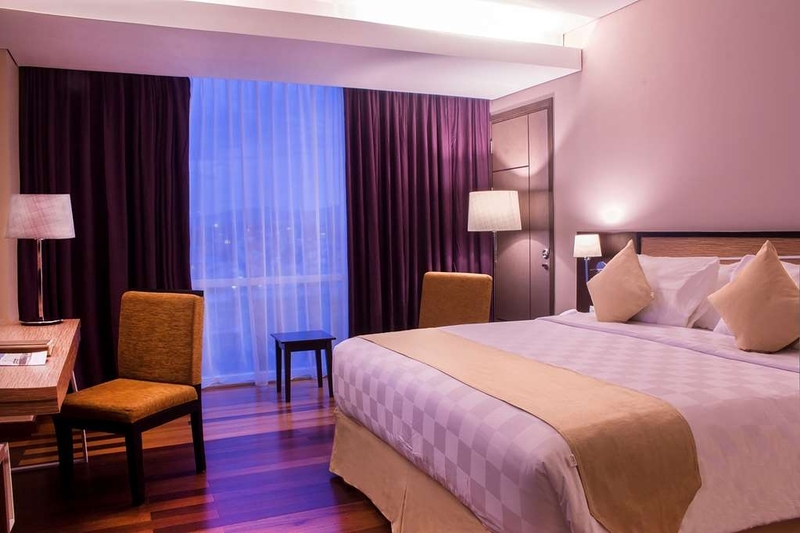 Room cleanliness good..
Great price, near airport, good service, super friendly staff, love it! 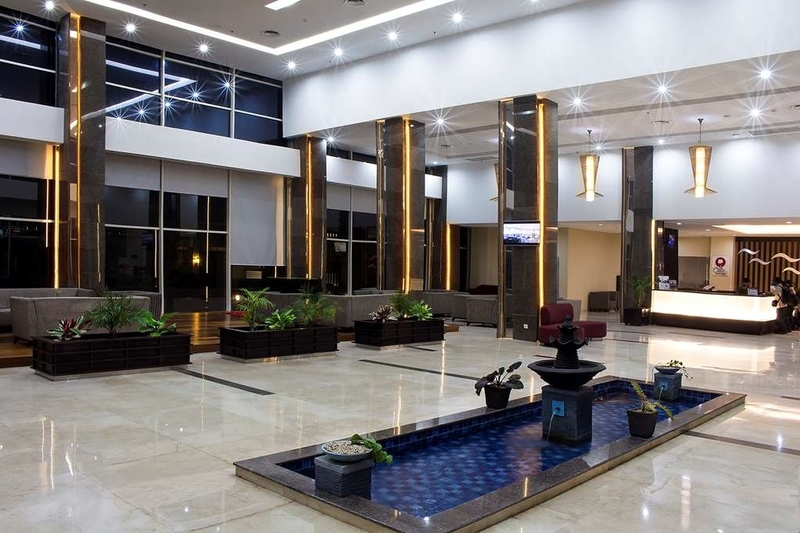 If you want to stay overnight in Palu to catch the next flight, I would recommend this hotel. Compared to other comepitors, it has a better price among others. I stayed here for 1 night for business. The hotel was near the airport and city center. The room was clean, spacious and I had a comfort sleep. Breakfast was also OK. Swimming pool was small but enough for morning exercise. "Nice western style hotel in Palu"
This is a reasonably nice hotel in Palu and a good location for us for the ferry. The staff are very friendly. They have a large underground parking lot. The food in the sky restaurant was just ok. The breakfast is large and varied. 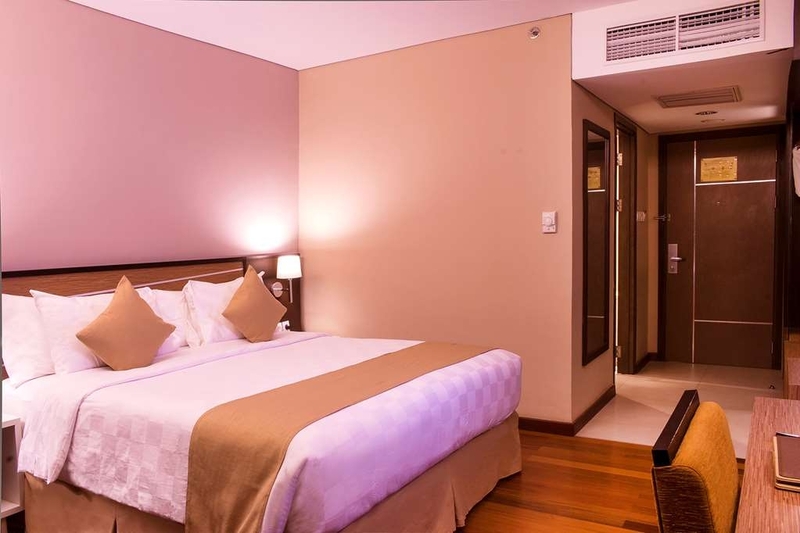 "Comfortable and clean Hotel in Palu"
Nice, clean and comfortable hotel in the center of Palu City, and near the Airport. The price was reasonable, room was clean. The hotel lobby was spacious and clean. 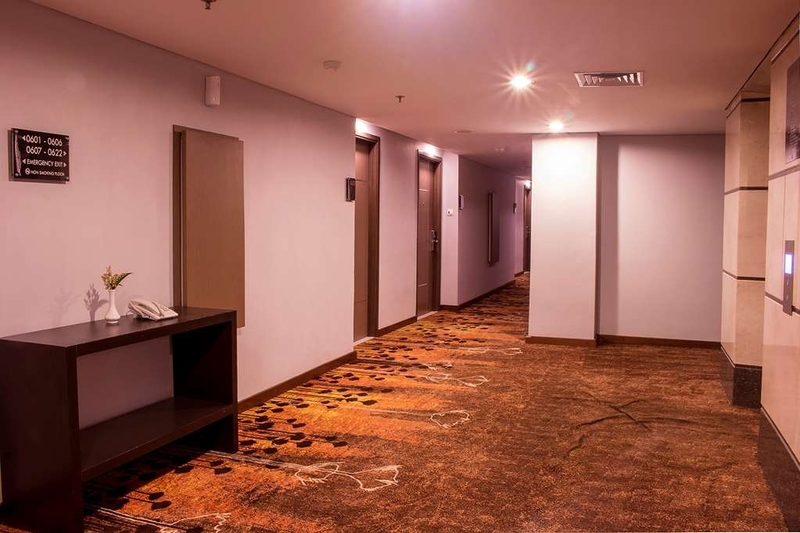 The staff was friendly enough and very helpful, so we felt comfortable staying at this hotel, even though when we were staying, it seemed that the hotel was not visited by many visitors. 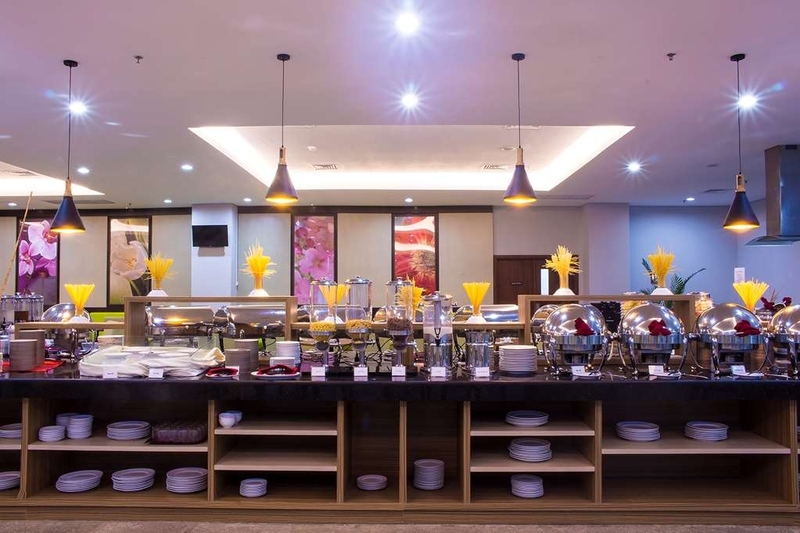 Breakfast was good, and quite a large selection of menus are provided, both Western and Indonesian foods. The only constraint was the small parking lot, and the exit path from the parking area are very narrow. No shuttle available to go to the mall, like Palu Grand Mall, but you can ordering grab taxi. 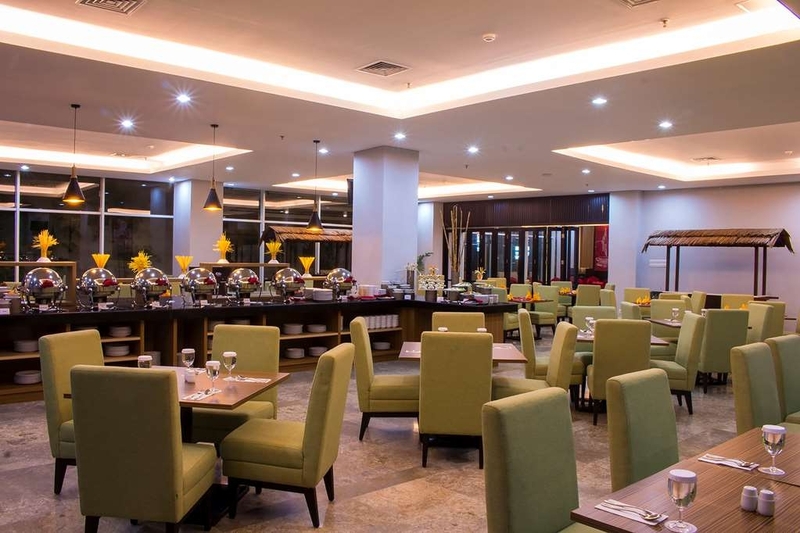 Overall, I recommend this hotel if you want to stay in Palu city, Central Sulawesi. Saya berkunjung ke palu untuk keperlua pekerjaan. Kebetulan kantor tempat saya bekerja punya cabang disana. 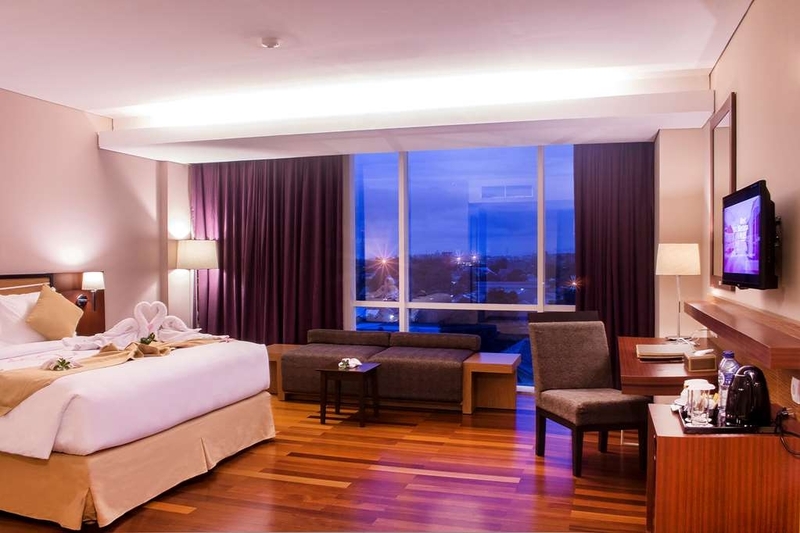 Overall about this hotel, it's not bad.. but not that good.. the location near the airport. The room is pretty spacious. The view is nothing special. I have problem with AC in my room. I've set the temperature to 15 C but i feel like it was 27 C.. not cold enough. 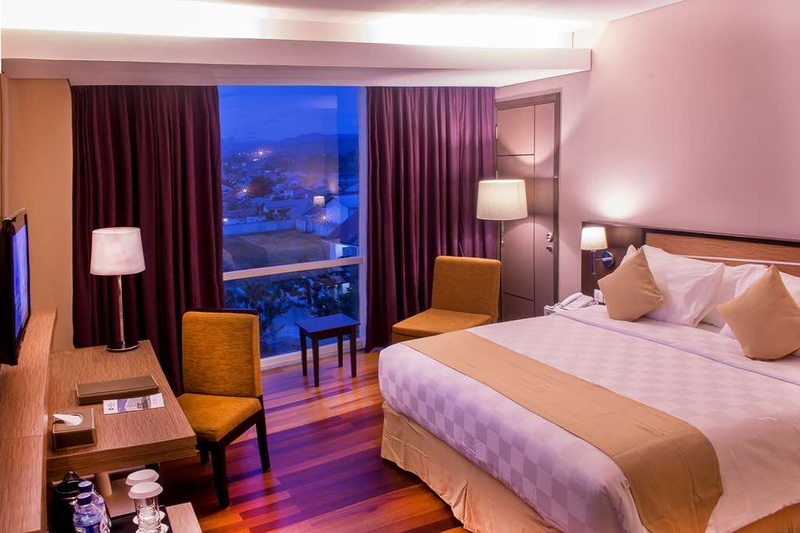 This hotel is located center of the city , Palu - and it's easy to reach, only by walking. 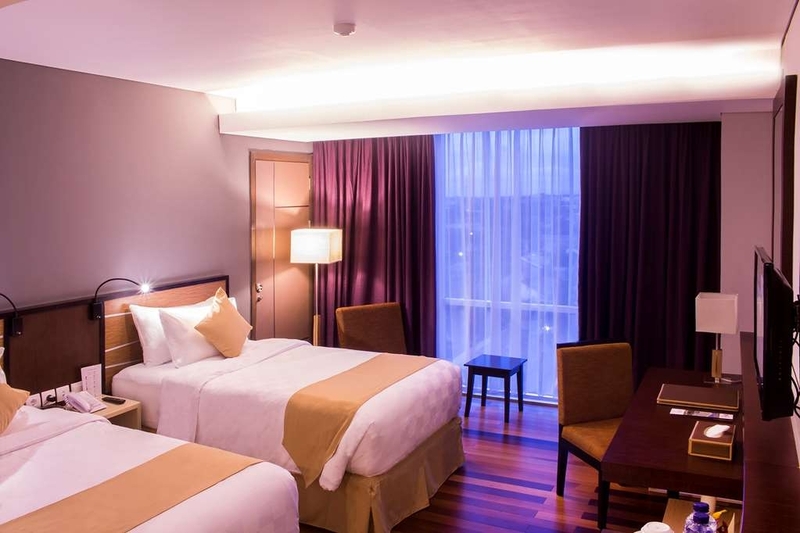 The hotel atmosphere is really comfortable and make me feel at home.The employees are kind and helpful. 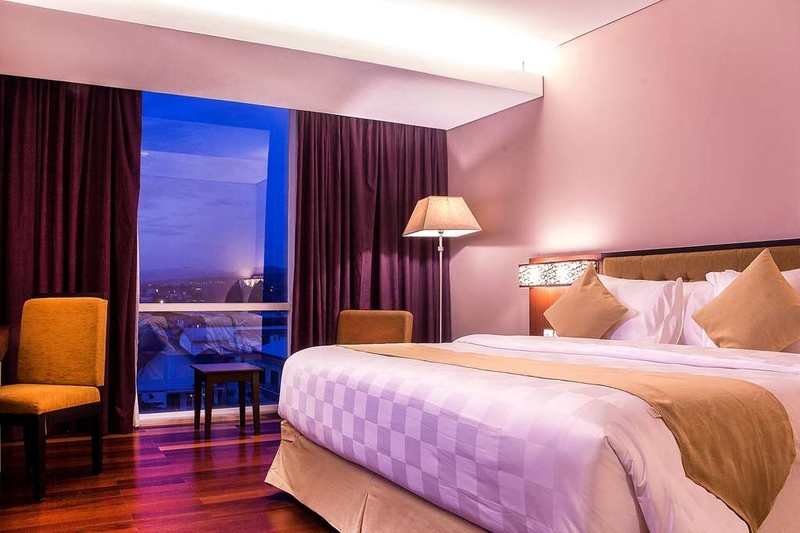 Its rooms are big and completed with Indonesian style. 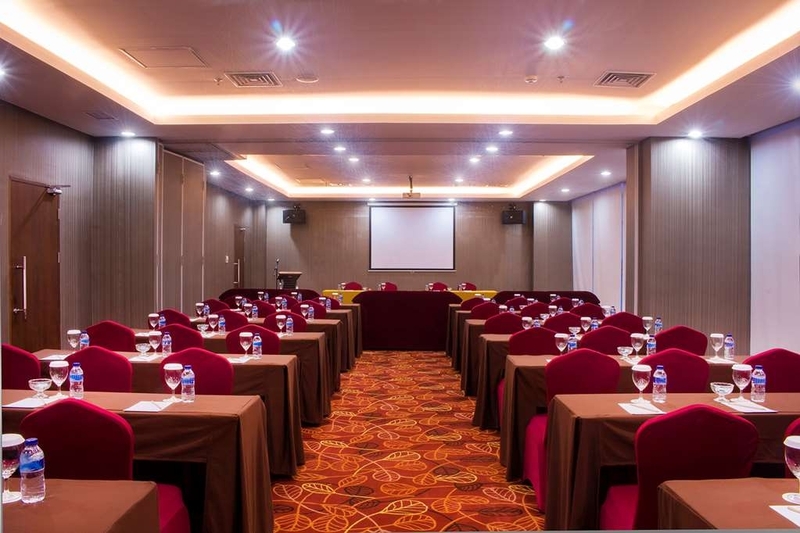 This hotel is very suitable for vacation nor training-gatherings and conferences. Its food is varied and delicious with the taste of Indonesia, Asia, and Europe. 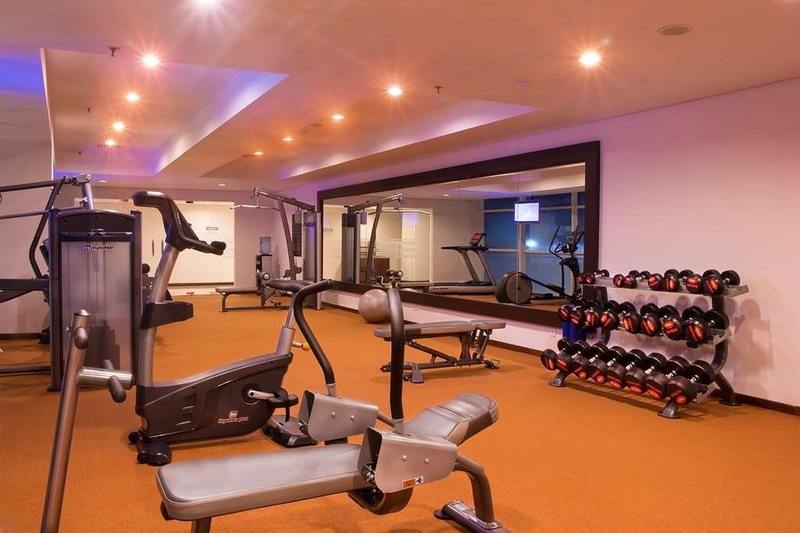 When going on vacation nor work activities, then Best Western Hotel could be the main choice and will be very satisfactory. 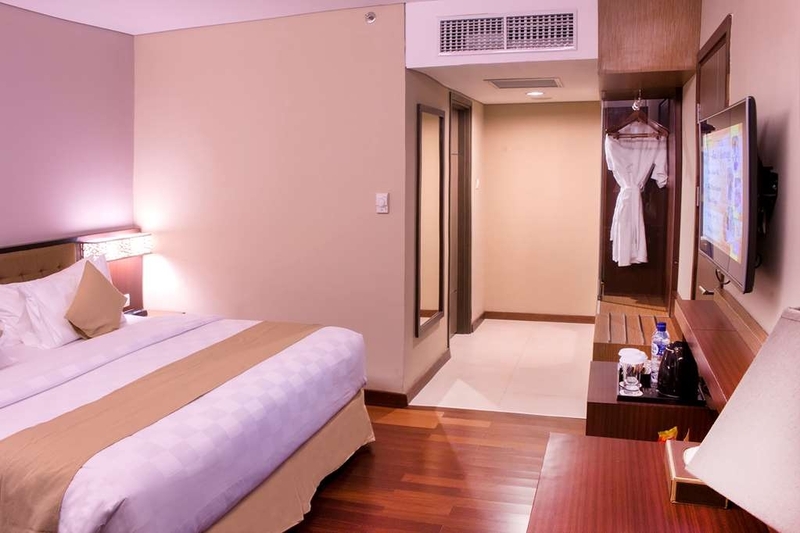 Just as other best western hotel, coco palu is very nice, clean and neat. What i like the most is the breakfast. It has various choices. It can be better if the pool were bigger. Negative side is that the sauna doesnt work. "Just a pissed of mind - Not Peace of Mind." I just have a pissed of mind instead of peace of mind staying at this hotel. Staying here for 4 nights together with collagues for a business trips. We book 3 rooms for total 4 nights each. The room are not sound proof, you can hear your neighbour open and close the door, my room basically had a moldy on its wall at the enterance (I think it is not good for health) and the hotel management need to significantly improve the maintenance, I don't have the fully control on the air con temperature and its sounds so distrubing (if you need a silent and quality sleep, this is not recommended) while the bath room were always wet, I don't know now why. But the most annoying one were I had been called several times due to my deposit, like almost everyday. They seems very busy with their own operation and revenue. I don't think they will care about your nice and good stay. First time I was checking in, they did not asked any deposit until I arrived at my room and called asking for deposit. The next day, they were called to my mobile like 2-4 times and I returned once to ask what's the problem, then they mentioned about billing of the other room (which was has deposit in it), And the third night I was stayed here, they were called me again and even told me colleague that my deposit was not enough to cover the room charges. The last night I was stayed I talked to the front office desk and asked what happened, she said it was called from the back office asking for more deposit. Then I was told her should I settle it right away ? I did it paid in full the remain balance which is only 15-20% of my billing at the period. What happened next, the Front office were not able to provide me the receipt after I had full payment. She said the system only able to produce the receipt at 2 AM next morning, it means only available next morning. The question is why did they asked me for the remaining deposit to complete the billing if they can not provide me with the full receipt the moment i had full paid. So hassle staying at this 4 stars hotel with lousy service. I stayed here in May/June 2017 and found it perfect for my needs and a very pleasant experience. 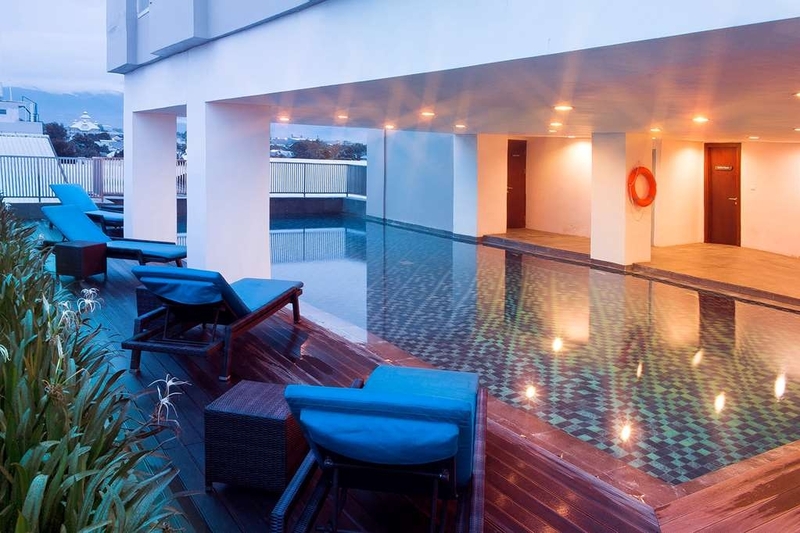 Hotel is still very new - so most furnishing and fittings function and look good. Staff are very friendly and helpful. Beds are comfortable. Nice swimming pool and gym, v welcome after long day's work. Indonesian breakfast buffet was great (there's also western buffet) - went to bed looking forward to breakfast! Hotel is close to airport, but quite far from beach and centre of town, though local taxis will get you where you want to go for Rp 25000 or so. Nice views of mountains, esp from upper floors, and there's a rooftop bar / resto area, with live music a couple of times a week. Some nice nearby eateries (Warkop Anugerah, Dewi Sri, Padang). A few bugs: beer is much too expensive; safety deposit boxes don't work; evening meals - my menu choices were usually not available; A/C system a bit temperamental; windows don't open. Would also encourage management to adopt some "green" policies: it really isn't necessary to change sheets and towels every day and it would be better to provide each floor with a water dispenser, than hand out more dreaded plastic bottles! Hotel has an excellent location, just 5 min from the airport (no noise caused by that). Breakfast is good. Rooms are good. Water pressure in the shower is good. 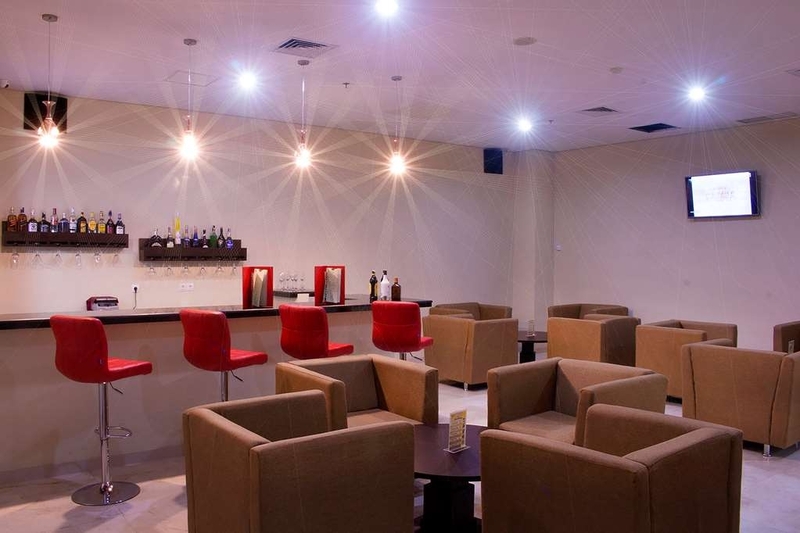 They provide in the afternoons free cookies and coffee/tea in the reception area. In my opinion the hotel is better than Swissbel and Mercure. Smaller issues, like key card had to be re-activated twice during a 5 day stay, but all in all, clearly to recommend. This is my first visit with family, generally the room is good, breakfast so far standard set up but check in & check out need improvements, really took my times to waiting the process. Considering the flow of in & out hotel entry, sometimes the cars from basement stuck on ramp. Recommended just for business purposes since the hotel did not have kids facilities. 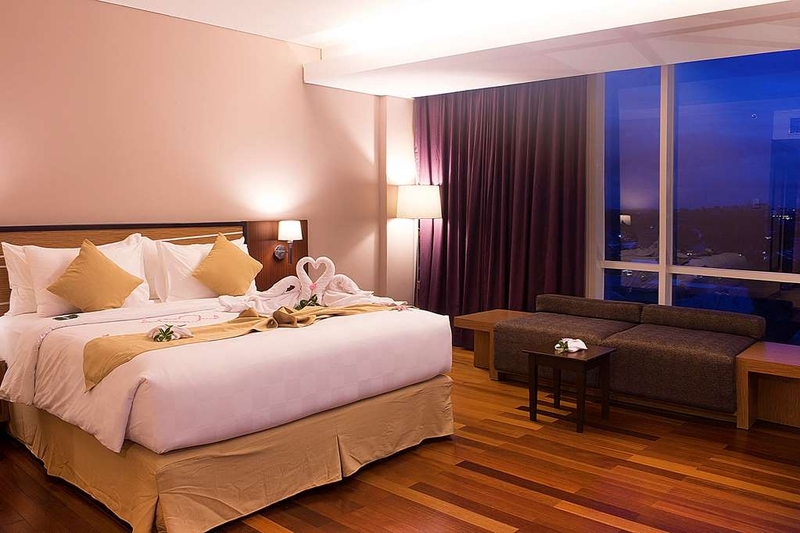 "Great stay, great night sleep. 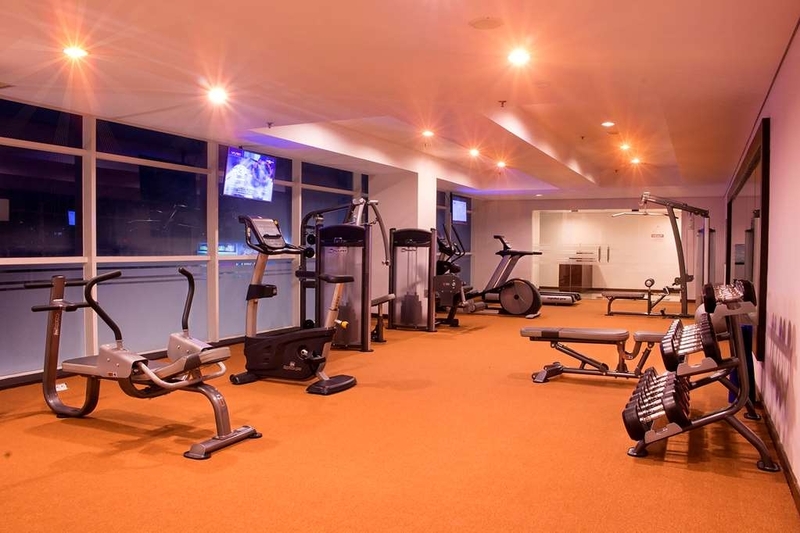 Great accesibility to most attractions in the city ." 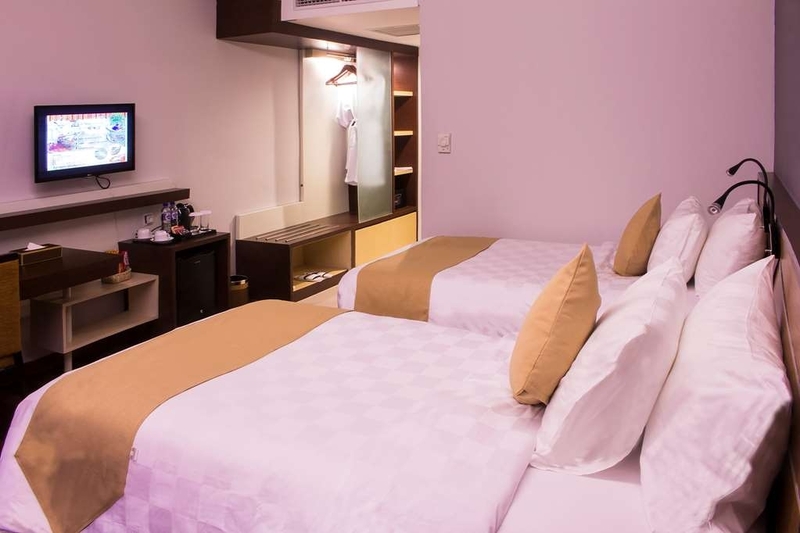 Rooms are sleek clean, amenities all functioning. Staff are very friendly and helpful. Room rate is acceptable. Unexpectedly one of the nicest breakfast buffets. One suggestion, please maintain the ambient music volume in the alley at a comfortable level. For once it had gone up a wee bit louder than it should be.